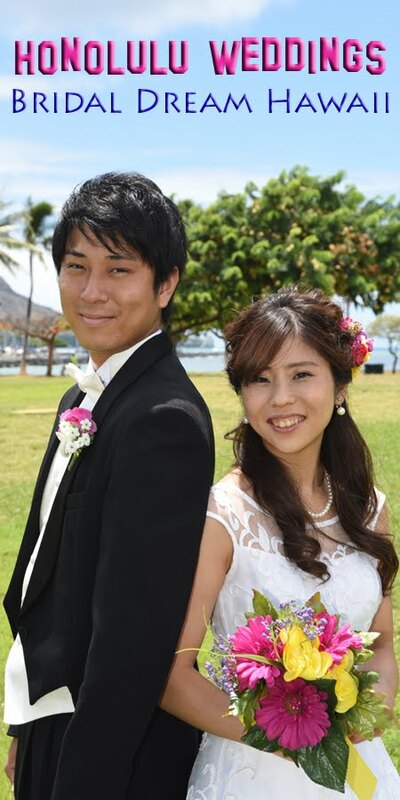 Daisuke and Miasato choose Magic Island for their wedding photos in Hawaii. Orange flower theme. Photos by Robert Hamilton.